East Orange City Hall is located at 44 City Hall Plaza, East Orange, NJ 07017; phone: 973-266-5100. Photo: Pre-WW-II apartment on South Munn Avenue, East Orange, NJ. Photographed by User:Dinopup (own work), 2006, [cc0-by-1.0 (creativecommons.org/publicdomain/zero/1.0/deed.en], via Wikimedia Commons, accessed November, 2013. The City of East Orange is in the center of Essex County; its area is about four square miles; it is 10 miles west of New York City and lies north and west of the City of Newark. It is crossed by the main line and the Montclair branch of the Lackawanna Railroad and by the Orange branch of the Erie Railroad. East Orange contains no ponds and only 3 small streams, 2 of which are already being covered. The wooded tracts have almost entirely disappeared. There is no farming except for a few market gardens. There is scarcely any natural scenery left in the community. East Orange is a high-class, suburban residential community. Until recently, it consisted almost exclusively of single family houses on relatively large lots, nearly all of the streets being bordered by large shade trees. The houses were set well back from the street line. Within recent years, a few rather large industrial plants have developed along the railways, and other smaller plants have been built away from the railways. 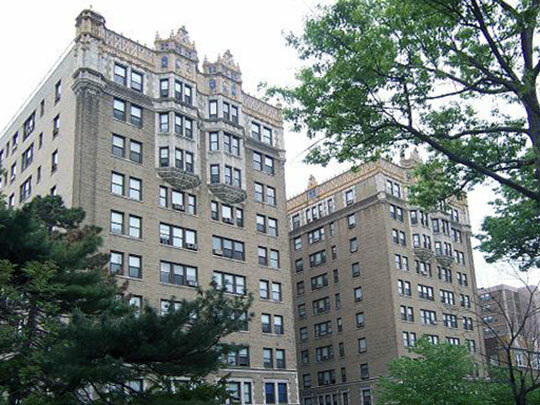 Since about 1910, approximately 100 apartment houses have been built, from 4 to 8 stories in height. These apartment houses have spoiled one good residential block after another, depreciating property values in their vicinity and thus eventually forcing the city to control by ordinance their location and size. East Orange is now a city of the second class. It was set off from the old Town of Orange on March 4, 1863. In 1899, East Orange became a city with five wards. The boundary lines of these wards were changed in 1921. Streets of East Orange are continuous with those of the surrounding communities along each of its boundary lines, so that there is only an arbitrary line of demarcation between East Orange and these other cities and towns. There is no area the East Orange could possibly annex from surrounding communities. East Orange City Plan Commission, City Plan for East Orange, Essex County, New Jersey, Technical Advisory Corporation, New York, 1922.